Horton Kirby is a village in the Sevenoaks District of Kent, England. It is located on the River Darent, around four miles southeast of Dartford and around three miles east of Swanley, and close to the M20 motorway. 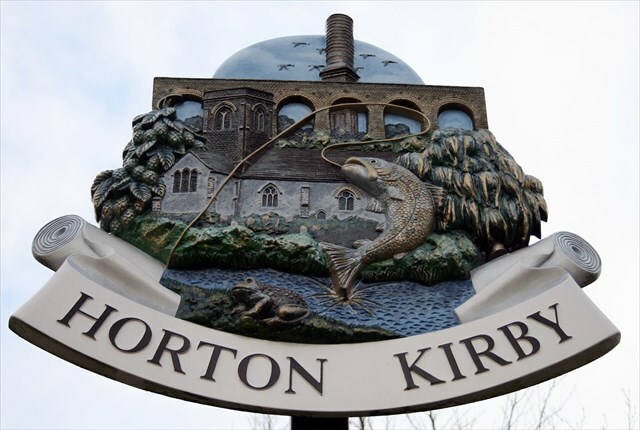 Together with the nearby village of South Darenth, it forms the Horton Kirby and South Darenth civil parish. Horton Kirby Environmental Studies Centre provides nature and country life-related outdoor activities for schoolchildren from South London. Remains of a Roman villa were discovered on the Westminster Field recreation ground, just across the Darent from the village, in 1972. The nearest railway station is Farningham Road on the Chatham Main Line.